Well, not the movie character, but Ansel Elgort, the actor who played Baby Driver. The star of the hit movie says he was turned into a car guy after taking part in making the film. The picture made him look like a proper pro, badass driver – which is why he was invited by Jaguar to drive their I-Pace all-electric vehicle around some smart cones. The smart cone challenge works by changing the built-in lights in the cones themselves to announce where the car needs to go next – the ones you have to go through light up green – but they do so quickly and you have to react immediately in order not to fail. 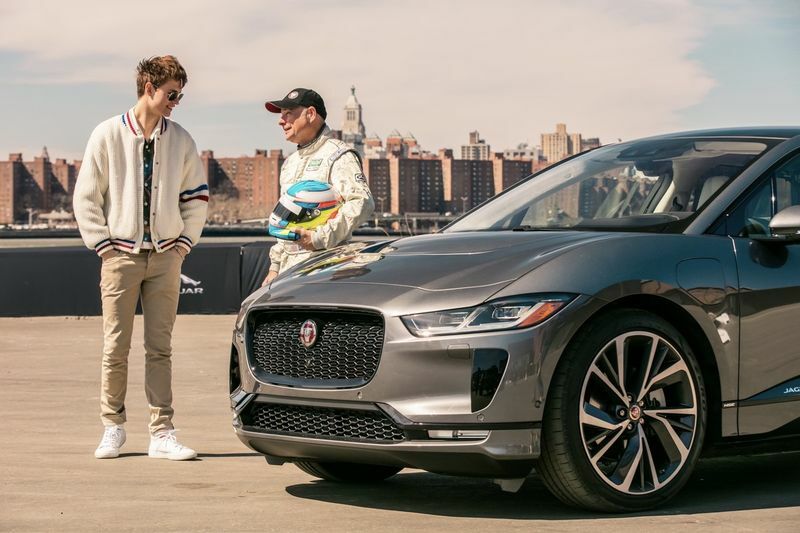 Elgort does look like he can handle a real car in real life, and he seems to really like the way the I-Pace accelerates and changes direction too. Baby Driver 2, the sequel, is supposedly already in the works and it’s probably going to come out either late next year or early 2020. The Jaguar I-Pace we’ll get to see much sooner though – sometime this year is when it arrives in showrooms and is available for road tests. The 2019 Jaguar I-pace Is Looking Incredible! Video: Building Your Dream Car In Real Life Is Now Possible! Video: Jaguar F-type Svr Officially Announced! Video: Nu Big Thing, The Craziest Smart Car Around!